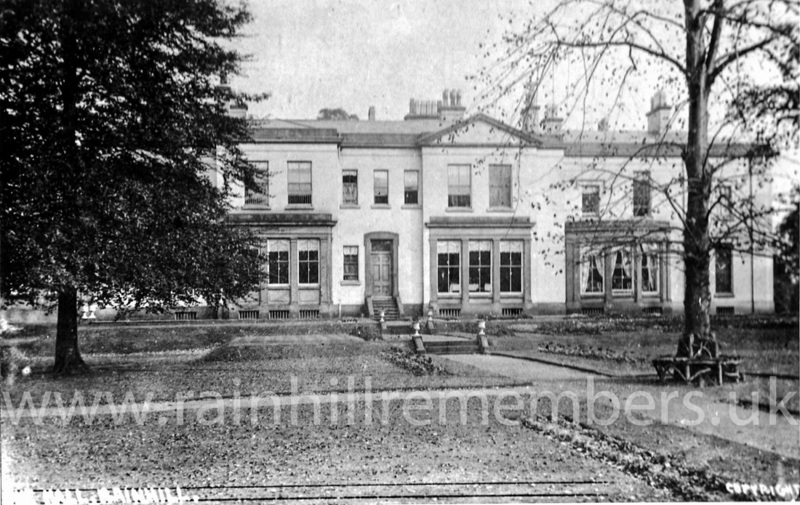 Wilfrid was born on 26th November 1886 at Fareham, Hampshire, the 11th child of Frederick Annesley and the Hon. Isabella Stapleton-Bretherton. August 1914 - The regiment moved from the Isle of Wight to Le Havre and was involved in the first skirmishes of the War in the Mons area. 25th October 1914 – Wilfrid Stapleton-Bretherton arrived in France and joined his unit 3 days later. His regiment had suffered heavy losses. 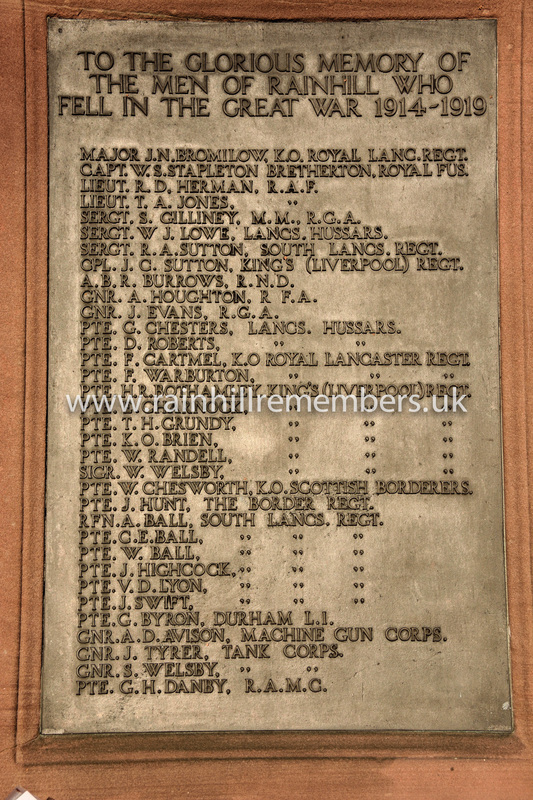 8th November 1914 – Y Company suffered from heavy shelling in the trenches. The enemy were advancing towards the trenches. 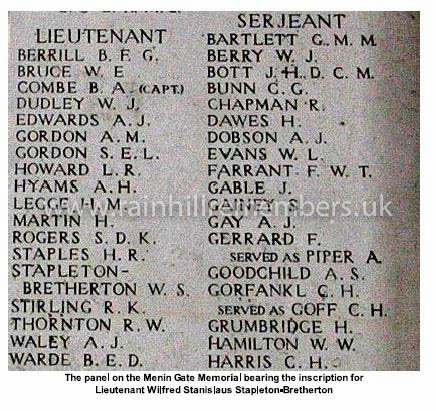 Y Company under Lt Wilfrid Stapleton-Bretherton charged the enemy and drove them back. Wilfrid and most of his Company were reported missing (2 officers and 62 men). 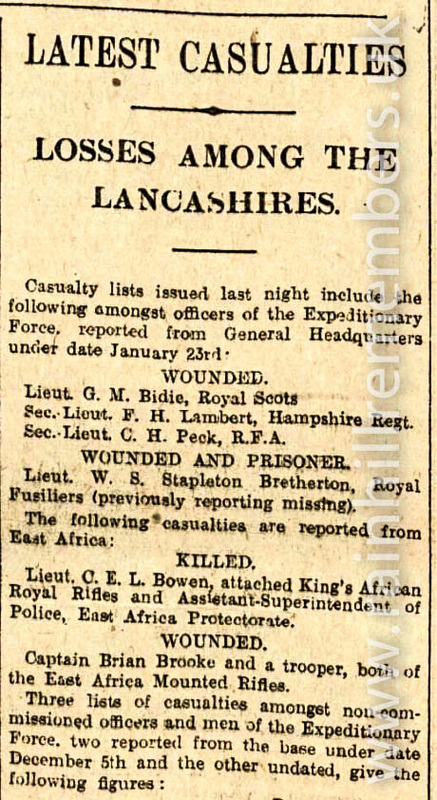 Despite other newspaper reports that Wilfrid died three days later on 11th November 1914, the family memorial show his death as 8th November 1914. His name is on the memorial at the Menim Gate. 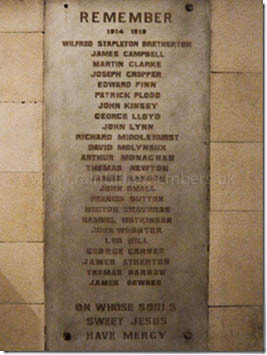 ​and on the memorial above in St Mary’s, Lowe House Church, St Helens.